Get ready for the warmer weather and celebrate with this fun Slurpee deal. 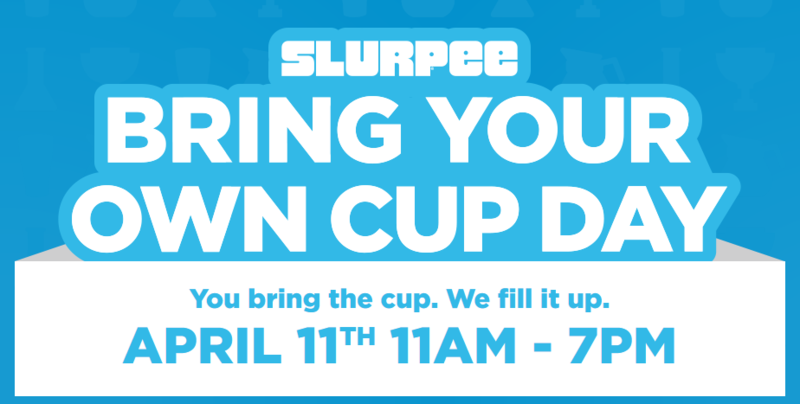 On 4/11, from 11am-7pm, bring your own cup to a 7Eleven to fill with your choice of Slurpee! It will be $1.49 for the Slurpee but you can bring a huge cup! The cup qualifies as long as it fits through a 10 inch hole. Your cup must be food safe and watertight and one cup per person. Your cup could even be a pitcher, tea kettle or whatever you can find! Check out these creative cups people have thought of!